Purchasing this item will earn you 199 reward points (积分 $1.99) ! Joyoung DJ13M-D988SG is the newest model for 2017,and this smart machine starts to enrich your cooking time. All parts that come in touch with food and liquid are made from stainless steel that realizes food service grade. 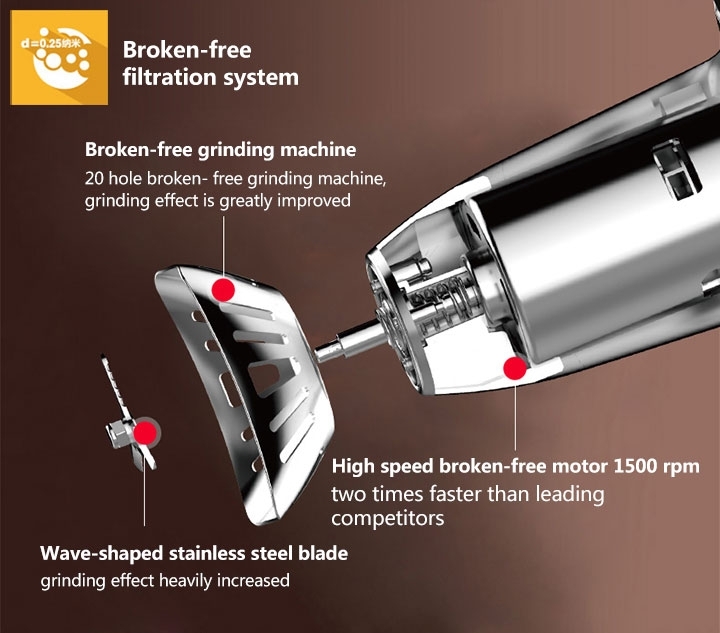 Broken-free filtration system makes beans completely polished and the nutrition released. You can choose time & temperature preset function for your need. 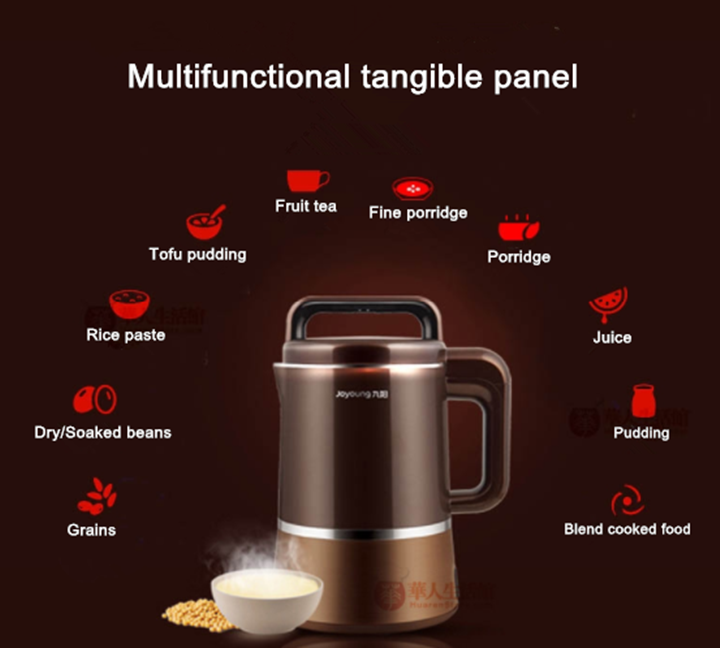 It has exclusive warming function,pretty superior to soy milk makers before. Its big capacity is suitable for 2-4 people. Just press a button, the fresh and fragrant soymilk will be ready for you! I have been using this product every day since I received it. 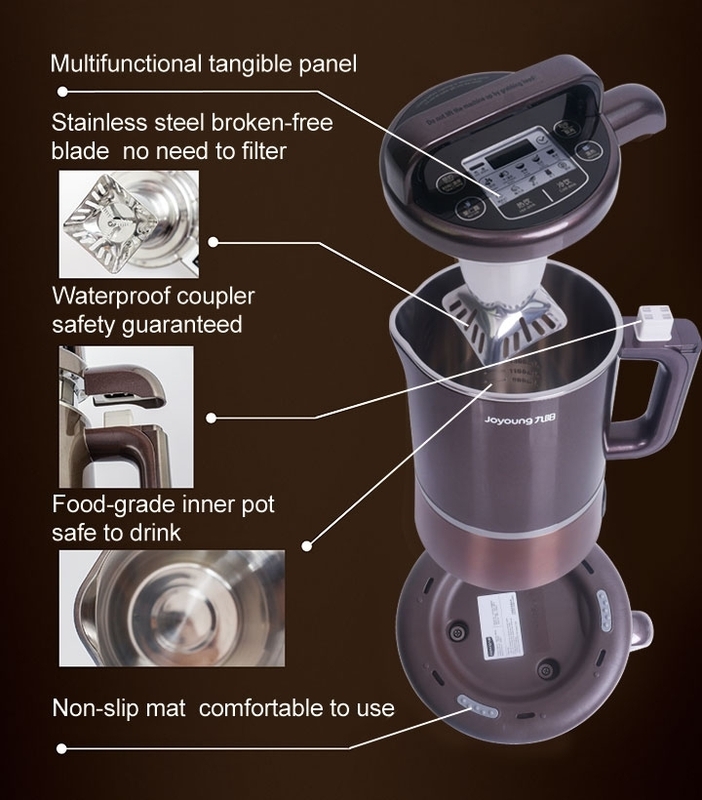 Fantastic machine, easy to use and clean. It is a bit loud but tolerable. The soymilk tastes great and no need to filter at all. We received our soymilk maker yesterday. We had never ordered from here before so we were a bit apprehensive and concerned that it might not be genuine. However, they emailed us our receipt and within a day they gave us our tracking number and it came promptly within a week, so we were very pleased. So then we tried to use it to make soymilk with soy beans and black beans and it turned out pretty well. The milk was cooked well and tasted nice with no graininess to it as it was very smooth. 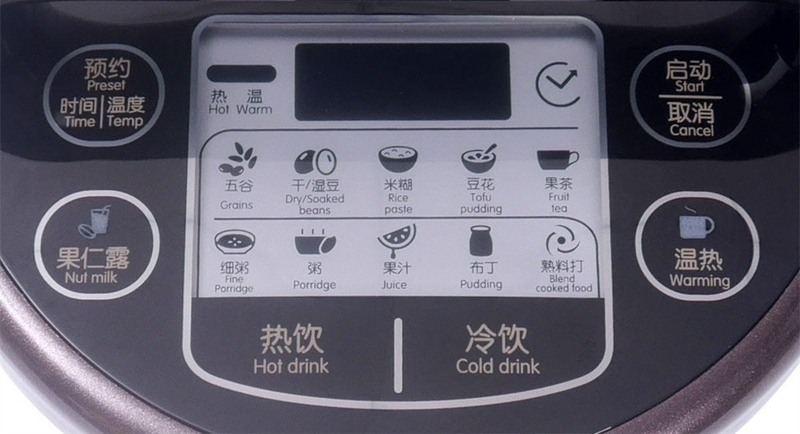 We've been to a Chinese restaurant that served soymilk and it tasted like it wasn't quite cooked right, but this machine cooks it very well. After that I washed it and it was pretty easy to wash, not like how other people told me it would be very hard, so I was pleased. I will definitely share about this product with my friends! I bought this based on a friend's recommendation. It is a good machine overall. The timer function is great. The noise is acceptable. It is very easy to clean if you clean it right after usage. I am just a bit disappointed that it was not as smooth as expected. There are still few particles that make your throat itchy. My husband and I think it is acceptable but the kids do not like it. It looks like getting a filter is unavoidable for all soy milk machine. If you would like fresh soy milk daily, I would recommend this machine. I have been using this soy milk maker about 2 months now. It is one powerful machine! It grinds the beans very fine so there is nothing to strain out but there is some sediment for sure. The soy milk will be thicker but that is to be expected if you want to drink the fibers from the beans. If you want more smooth liquid then you can wait for the sediment to fall to the bottom before drinking it. It is very easy to clean, as long as you clean it after the cycle ends. do not wait too long or the dreg will be stuck on the blades. Overall very good machine! highly recommend. I really enjoyed the soymilk made from this machine. 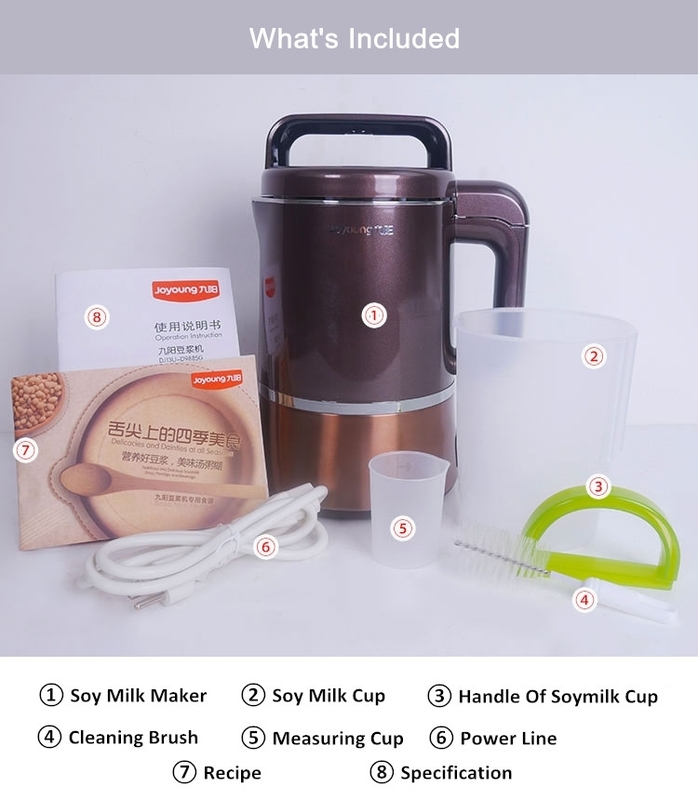 They are so creamy.It is the best and most convenient soymilk maker I have ever had. Very good product! We received it today and made a pudding using Job's Tears and Red Adzuki Beans. VERY smooth and grit free. Excellent consistency. Perfect texture. Highly recommended! This machine require no filtering of the soymilk. That is huge. All the other machines require you to hand filter the milk after you make it - that is a lot of extra work. 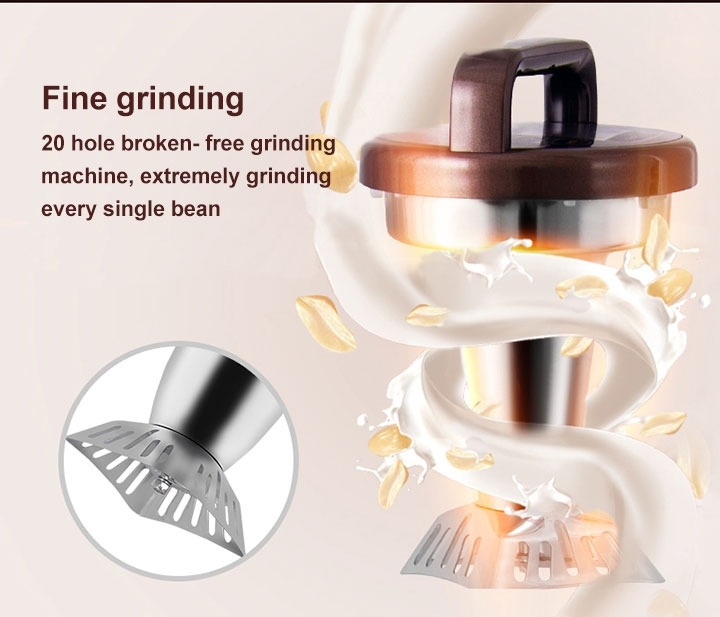 Yes it is pricey but it is the most advanced machine you can obtain because it grinds the milk so fine you don't need to filter it. I tried a lower model from Joyoung but returned it - I had to filter the milk - a waste of time and a waste of nutritious product! 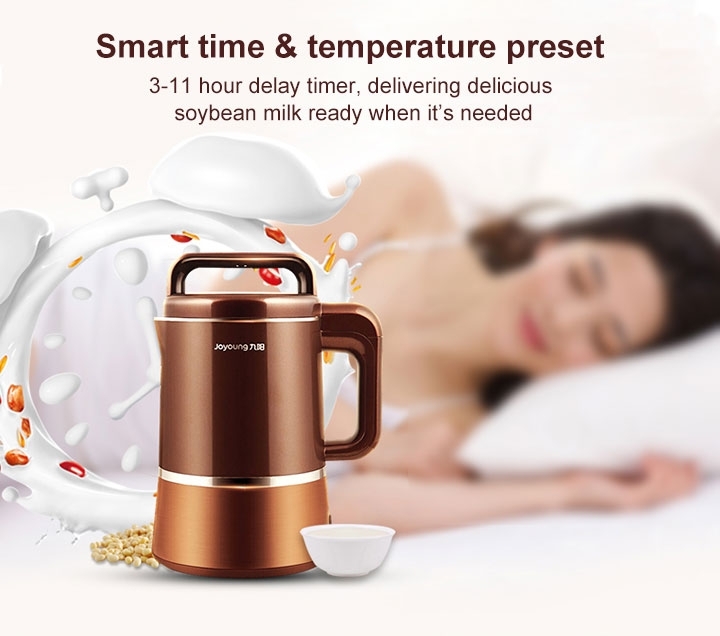 I love home made soybean milk so I tried to make home by my old soybean machine that always caused such a pain & headache for me. My old soybean machine has several small parts need to be assembled belabor using it , occupy bigger space to operate, and cleanup even worse. I found the new one even expensive, I decide to give a try & the outcome is great & exceeding my expectation. Now it's so easy to operate & cleanup. It took me 20 mins to get fresh hot soybean milk & complete the cleanup. I give the machine a 5 star plus rating & recommend to everyone.